Discussion in 'Small Talk' started by SlowPokemon, Oct 25, 2010. With a topic like this, we won't need to keep making new topics with random subjects. Just post your random thoughts of the moment here. I like rain. With lots of lightning. :3 This morning it was raining really hard... hope it starts up again tonight! I personally can't wait for lunch in 15 minutes. I don't know what I'll buy/eat/etc., but anything will do. It's just too damn quiet right now. No clue where the majority of my students have gone off to, but it's not my problem. It's their classroom teacher's fault. That guy is too lax for his own good. Of the six hours of school I had today originally, I had only four. If my school didn't have such an awesome library, that'd piss me off. Well, I like turtles. My mum is on the phone. Eeer... waffle? Quarters! A million allowances worth of quarters! No slugs or tokens! SO MANY ASSIGNMENTS FOUR HUNDRED ASSIGNMENTS ohgodpleasemakethemstop. I stole the idea from the NinSheetMusic forums--they have one that's over 700 pages long. You can see it in all its glory here. I hope we can surpass that! Thoughts of the moment, eh? "I hope you're right, sir." "Where's the fast forward button on life?" "Why is the rum always gone..."
My thoughts at this particular moment, make of them what you will. Seems like free writing for a journal assignment. Well, I wish my step father would shut up and get off the phone. He acts like a teenage girl with his friends. Oh, and I want them to make a sequel to How to Train Your Dragon. Best movie EVAR! Yep, just like facebook, minus all the stupid comments about how life is unfair, how much their boy/girl/shemalefriend rocks, and all the lyrics from songs that "just seem to describe the moment". Oh, and minus self taken pictures of a girl making her face look like a fish's face. Grr, my sister slept in my bed, and musta rolled on the remote, and IT WON'T WORK. I mean, it's stuck on some random channel-thingy and I'm like WTF, WORK DAMMIT! And why, oh why, did she have to take the Italian stuff with her? WHY?! Mother Dearest frolicked off to Miami with Father and two friends. And she took the Italian with her. No, I'm not telling you what the Italian is; use your imagination. I swear, if He-Who-Must-Not-Be-Given-A-Phone (Friend of mine;don't ask.) finds this place, he will surely find an App for it, I swear. Bleh. Cheap lemon snap cookies have an odd aftertaste. I'm tired, I'm hungry, but I can't get any food because that'd be awkward.... ahh. Modern Family is not good in my book, The Middle is better in my opinion... Modern Family could be really good, but it goes... overboard. He probably lives in an area where it's later than that. And now my ear itches. Why is my ear itching? Random itch is random. Also, why do they call Hawaiian bread Hawaiian. Sure the original may have been made there, but I'm sure several other buns have been born in other places. Why aren't they called, "California" bread, or "Florida" bread? Not where I am! Where do you think I am? Anywaaay... Why does Ho-Oh only seem to be red yellow and green? I mean, its Dex entries say they flash seven different colors, but we only see those three and white! What the heck, man. Gay cats. My cat is in the wildlife. Yellow Lickilicky!! Alsssooooo this weird show that's supposed to be like Doctor Who but for youngin's/people my age is on and the weird rhinocerous people (something beginning with J - Juggons? Judons? I dunno I'm tired) were speaking to each other in their language and I could have sworn that one of them said "Moe moe kun/kyun" and ahhhghhhhhdfgkmgdum. Megaman 2 must have the best videogame music in history. The Intro theme and Dr. Wily stage 1 are so friggin epic. Only Corneria from Star Fox can equal their awsomeness. More randomness. 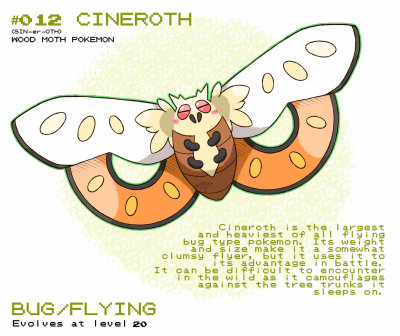 As I stated in the Pokemon Oddities thread, I still can't figure out why Can't fly, but can. Odd, right? Also, Goruggo seems to be based off of Gundam mechs. Maybe that's why he flies. Also, my dogs are evil and want my burger. Thank you for your time. Agh. My professor wants me to explain why I identify with being female, and apparently objectively taking the advantages and disadvantages into account doesn't work. My sister burnt a waffle in the toaster. Why did she do that? Is she emo? What is the point of the new move A Capella? 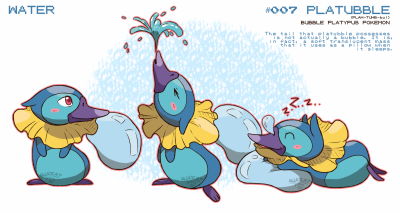 The Pokemon sings, which hurts the enemy. I mean, what's next, a move where the Pokemon puts glasses on to improve accuracy? I mean, what's next, a move where the Pokemon puts glasses on to improve accuracy? The Kingdom Hearts series is mind-bogglingly good. I could KILL to get a PSP and Birth by Sleep. Also, in February; Kingdom Hearts Re: Coded. For the DS. AWE. SUM. SAUCE. Well, since this is essentially Charmsbook, I'll post some lyrics "fitting the moment". 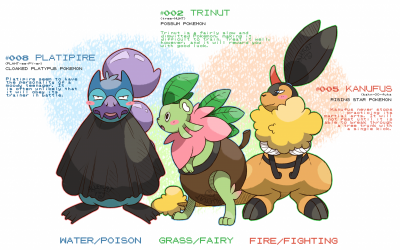 I blame the Emo Jynx over there. See a Jynx, well, she is emo. Live with it. I hate Florida in the winter. I'm all "YAY SUMMER" when it's hot, and when the season changes I'm like "MEH OKAY." Then winter comes and I'm "AMFKHKTHYKJ I HATE COLDNESS. *RAGE. *"
I HATE BEING SHORTER THAN PEOPLE. I'm taller than my mother and sister and I have freinds/ relatives who are taller than me and I am fine with it, but when I meet people who are taller than I think "Huh, they're taller than me. I'm jealous." I want some guava juice. Stupid winter cravings. I saw the most awesomest kung fu exhibition ever today :3 So much win! I'm so happy that I got my friends back.. but I feel bad for not having time to hang out with them since we've made up.. I feel overwhelmed and I hope they forgive me. I miss my buddy since he got temp banned. Things seem sort of dull now. And jeebus, my hamster stinks. Have seem the table tennis teacher of my school and the national champ in a match. IT WAS SO DAMN AWESOME. It looked like a table tennis version of The Prince of Tennis. They both were gettin' distance from the table little by little. After some time they were distant from each other as normal tennis players would be. And always sending the ball to the opponent side of the table. It took so long that they decided to simple end that, so it ended in a tie, 0 to 0. It was as cool as The Prince of Tennis, which is so damn awesome. Have nothing better to say, and feel kinda stupid by that, but I know talking useless ramdom things are the objective of this topic. Well, I've been cranking these sprites out like a factory 8I quite odd. Also, not much on 7 local channels. Aww crap, gotta do government homework. Doesn't help that I don't know where the lappy is and that I'm so hungry that my tummy hurts. My mind has officially been emptied of creativity. Which irritates me greatly. You know who I always thought was annoying? Dolores Umbridge. And guess what I found out? She'll be appearing in the Deathly Hallows. I never liked her character, but the way she is portrayed film-wise is so damn awesome. So I have high hopes for the movie. And pertaining to the aforementioned woman; she has a cat Patronus. So fitting, it is not even funny. Okay, yes, it's hilarious. And I reeeally hope I get to see Luna Lovegood again. I like her, becuase she's strange and eccentric. * Tun coughs and sneezes and moans everywhere.